The Lexani LX-10 is available in 20, 22, 24 and 26 inch sizes. Staggered fitments available in select sizes. Custom finishes also available. 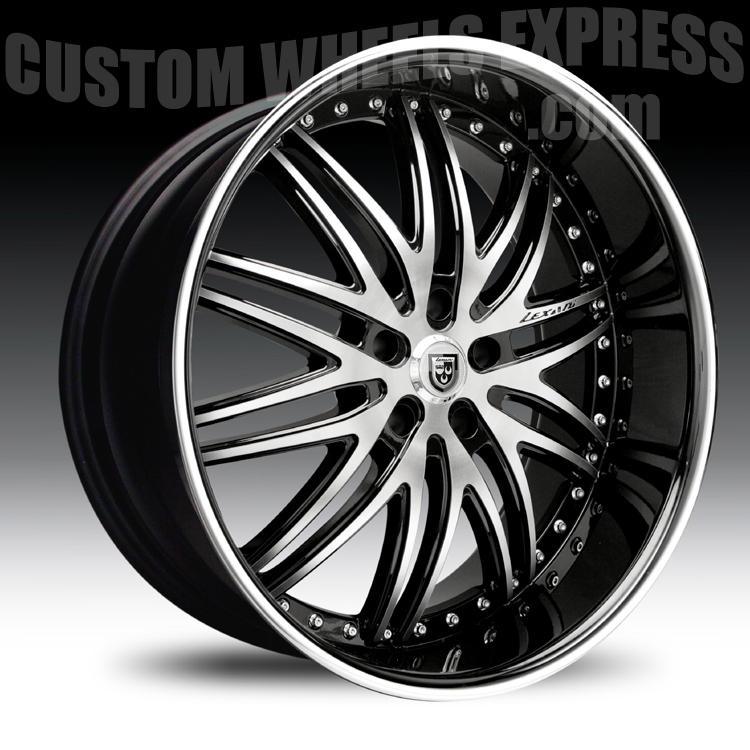 Sizes 20 and 22 inch will have exposed lugs and 24 inch and bigger will have covered lugs. Lexani makes some of the nicest, crisp, clean wheels on the market today. A set of Lexani wheels will definitely set you apart from the pack. 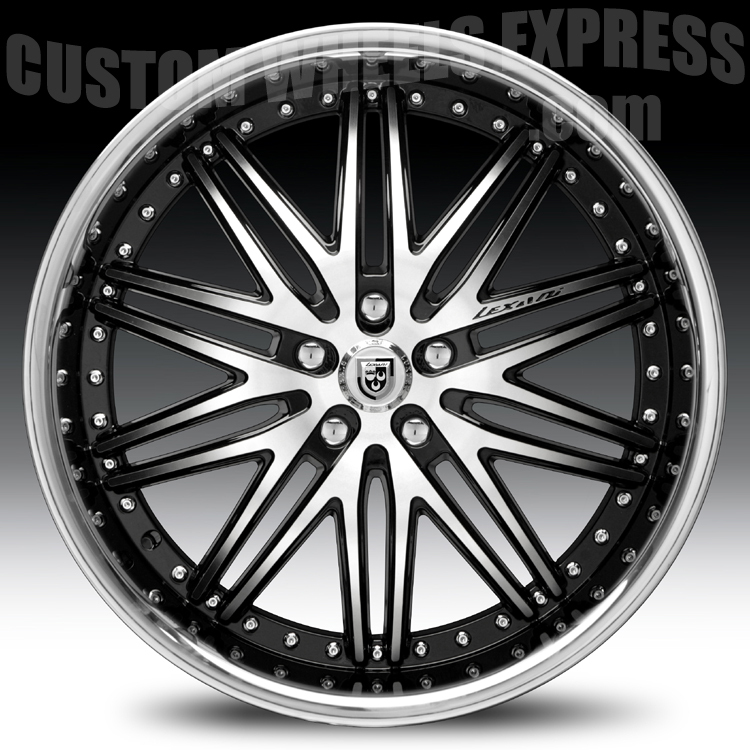 So if you are looking to impress, look no further than Lexani custom wheels. All Lexani wheels are drilled and machined to fit your vehicle. They start out with a "Blank" wheel and first shave the mounting pad down to achieve the optimal offset for your specific vehicle. Then they drill the bolt pattern to give you a nice lug centric fit. Typical drilling time for any Lexani wheel is 1-2 weeks.